E-cigarettes and their health impact continue to be a contentious debate dividing healthcare professionals not just in SA but across the world. Over a billion people have tried and failed to quit smoking. But is vaping really the answer? In a significant move, the draft Control of Tobacco Products and Electronic Delivery Systems Bill (Cotped) published in May this year, aims to regulate e-cigarettes for the first time in SA. Unsurprisingly the Bill resulted in ardent debate at a recent panel discussion hosted by the Vapour Product Association (VPA) where industry professionals fervently argued the benefits of e-cigarettes and other vaping products. 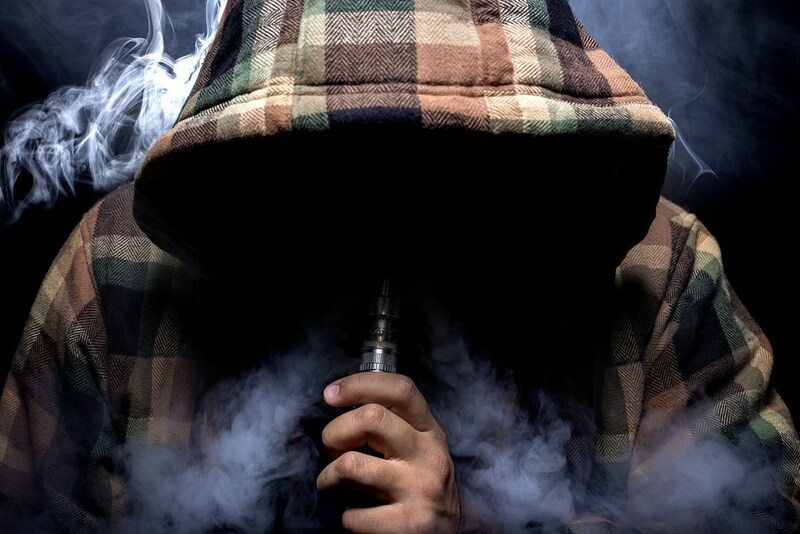 “E-cigarette products must be embraced as an alternative to traditional smoking products,” said Vaping Products Association of South Africa (VPASA) spokesperson, Fidel Hadebe. Arguing new research shows vaping products are 95-99% safer than combustible smoking, Dr Human argued this message is not truthfully and accurately being brought to the 9 million smokers in SA. Dr Kgosi Letlape, president of the Health Professions Council of South Africa (HPCSA) expressed concern that the Bill’s preamble exclusively mentions cessation and doesn’t also promote switching to less harmful sources of nicotine. “It doesn’t take into account there are more than a billion citizens of this planet that have failed to quit.” Dr Human agreed, “If you look at the statistics worldwide, there are 1.2 billion smokers, and 70% of them go on record that they’d like to quit smoking, but only 40% of that 70% actually try quitting, and eventually less than 5% manage to quit smoking. “The nicotine itself, in the Bill, should to be handled responsibly. In a science-based proportionate manner, so that the regulation, the labelling, the taxation, and then also the communication of the various products is done in an accurate manner. I’d go as far as to say that especially in this country, it’s the human right of the consumers and the patients to get accurate information. It is unethical and simply unscientific for a physician, a nurse or a pharmacist to tell a patient all tobacco kills them all the same. It’s simply not true. And because they’re different, they need to be regulated differently, that’s what we’re saying,” said Dr Human. “In many countries including SA, many healthcare professionals still believe in some myths about nicotine,” said Dr Human. “Up to three years ago 70% of doctors in SA believed nicotine is a cause of cancer, which is completely untrue. The World Health Organization (WHO) and scientific organisations across the world have confirmed there’s no link between nicotine and cancer. That message needs to be given to healthcare professionals, so they can give accurate information to their patients,” said Dr Human. “As physicians, when it comes to patients who want to quit smoking,” said Dr Human, “We need to give them the techniques, methods, and accurate information about what alternatives there are. “But what’s happening now is practitioners are speaking from a basis of ignorance. There are some practitioners where their patients are more knowledgeable and come to ask about e-cigarettes and their doctor’s advice. But instead of doctors saying they don’t know and telling their patients they’ll come back to them when they’ve done more research and advise them accordingly, they instead jump onto the bandwagon saying ‘those things are bad, they’re worse than cigarettes’, giving all forms of varied advice. This means we are not doing our job in terms of medical education for healthcare practitioners, so they can inform their patients, equipping them to make informed choices. The ‘quit’ concept is linked to what prevails in medical practice and we have a duty to provide education so we as doctors continue to work on evidence-based medicine,” said Dr Letlape. As the panel consisted exclusively of vaping advocates, Medical Chronicle spoke to Professor Richard van Zyl-Smit, a leading South African pulmonologist based at the University of Cape Town’s lung clinical research unit, who has devoted years of his life to understanding why and how smoking affects your health. Addressing the argument that e-cigarettes should be promoted as a smoking cessation aid Prof Van Zyl-Smit feels the vaping industry is not only trying to have it both ways but is failing at both. “If they wish to be considered a medical intervention, they need proof that they work, and that they are safe. What they have is evidence that they are less harmful, and work very poorly compared to other medications for supposed smoking cessation. If they wish to play in the medical field they need to be tested as per all other medications. Stressing the importance vaping products be legislated, Prof Van Zyl-Smit does agree that tobacco is not the ideal space. “But what other space is there? If it’s a foodstuff then it needs to be regulated as such, if it’s a medication the same applies etc. If it is a new separate product then it will require a whole new set of government legislation, which will take ages so again the industry needs to make up its mind. The regulations are critical to protect consumers, not to facilitate an industry’s income. The fundamental problem appears to be the lack of conclusive scientific data. Arguably one of the most comprehensive studies on health effects of e-cigarettes to date was published in January this year by the National Academies of Sciences, Engineering, and Medicine, sponsored by the US Food and Drug Administration. The committee that conducted the study identified and examined over 800 peer-reviewed scientific studies, reaching dozens of conclusions about a range of health impacts. The study found a great need for more evidence and research with both long- and short-term horizons around the new field of e-cigarettes. “We urgently need to address gaps in substantive knowledge and improve research methods and quality through protocol and methods validation and development, including the use of appropriate study design.” Unfortunately, this will take time.